Recently, we had friends over for lunch. 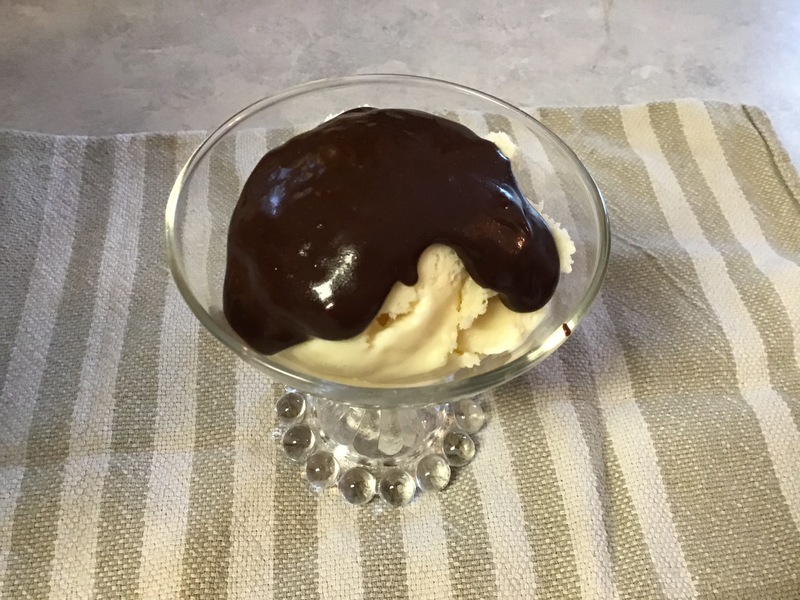 I wanted to serve cookies and ice cream and decided to make a hot fudge sauce. I had made some gluten-free chocolate-mint chip cookies and I wanted them to go together well, so I wanted the sauce to have some mint in it as well. 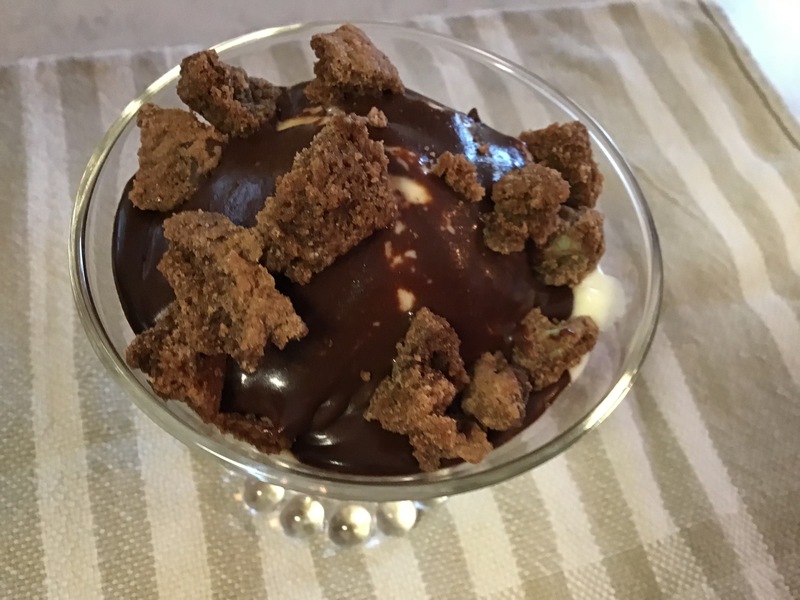 I found a good recipe on The Pioneer Woman’s website, but needed to make changes to it to make it mint flavored and also to make it lower in fat, since we are watching our calories around here. This is the new recipe. Mix 1 cup cocoa powder and 1 cup sugar in a saucepan. Add 1 cup of 1/2 and 1/2 and stir with a wire whip until blended. Cook on medium heat, stirring frequently so the mixture does not burn or scorch. When it is warm, add in 1 cube of butter (1/2 cup) that has been cut into pieces. Stir until the butter is melted. The mixture should not come to a boil, but will be nice and warm. Remove from heat and add 1 teaspoon mint extract and 1 teaspoon vanilla extract. After it has cooled a little bit more, pour into a glass jar or dish. Store in refrigerator. Yield: About a pint of mint fudge sauce. One time, I served it with crumbled cookies on top. That was delicious. It was a good way to use up some cookies that had crumbled as I removed them from the baking sheet. I just crumbled them some more and used them as a topper. Since I started making this recipe, it’s become a family favorite. It elevates plain vanilla ice cream into a decadent dessert, can be made ahead, is economical, and tastes marvelous. If you wanted it even more decadent than it already is, you could always use heavy cream instead of 1/2 and 1/2 as the original recipe called for!